Food is one of my favourite things in all of the land. I spend most of my time thinking about what I am going to eat next. Particularly whenever I am broke, and can only afford to 2 minute noodles, I spend the most time trawling through endless recipes, via every social media platform imaginable, and make grand (meal) plans for when all(!?) the money comes in on payday! I came across this recipe one poor, hungry night and man am I glad I did. A bowl chockas full of flavour with all of the best things in it. 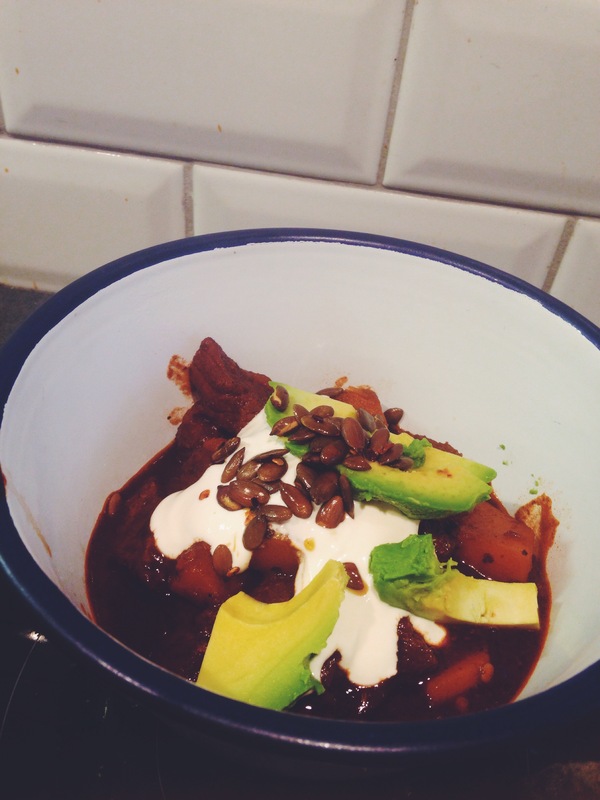 Beef, butternut squash, chilis, beer, avocado, pumpkin seeds. Seriously, how can that not taste good? You’re going to just have to try for yourself and see. It takes a good amount of time to do so give yourself 2 hours, the beef is good and tender then. 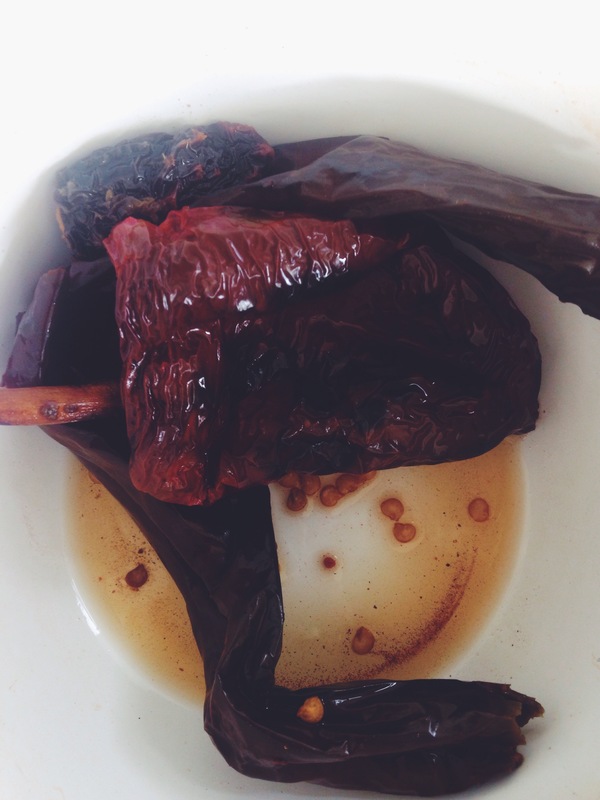 I added a chipotle to the mix to make the holy trinity of chilis (ancho, pasilla, chipotle)! Re-hydrated chilis are my favourite! Get the recipe on Bon Appetit. We served it with homemade sourdough pita. Yikes!